Conclusion: High quality and colourful markings for a good variety of striking subjects. 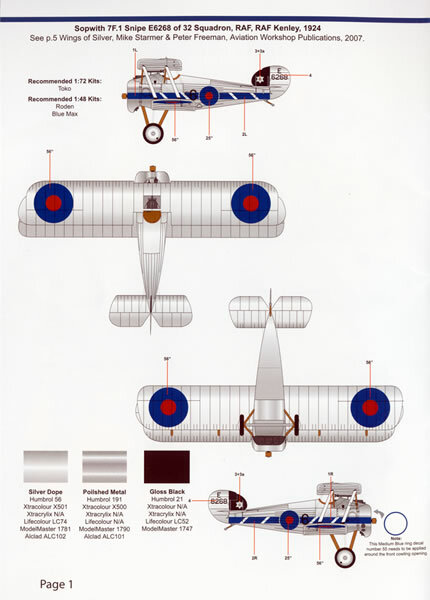 MA-157 6 is the second of two new sheets from Model Alliance Decals in their “On Target Special” range that provide markings for “between the wars” Royal Air Force biplanes. 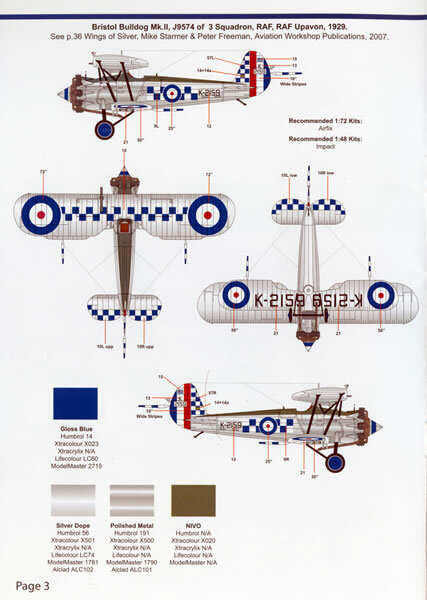 As you would expect given the title, all of the options on the sheet are finished in the “silver dope” and polished metal scheme that were punctuated with colourful squadron markings. 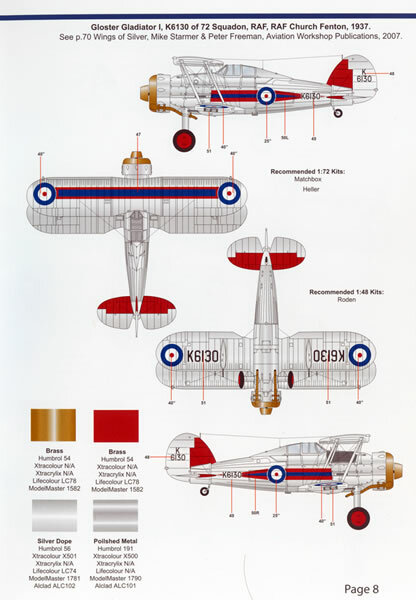 Gloster Gladiator I K7960 3 Squadron RAF at Royal Air Force Station Kenley in 1938. 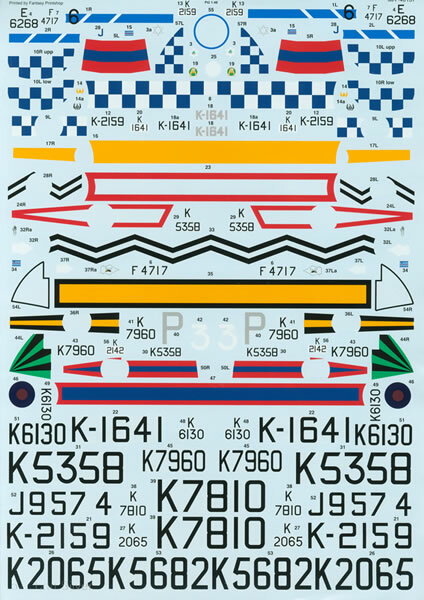 As with the other sheet in the series (MA-48 156) the decals have been produced by the Fantasy Printshop. 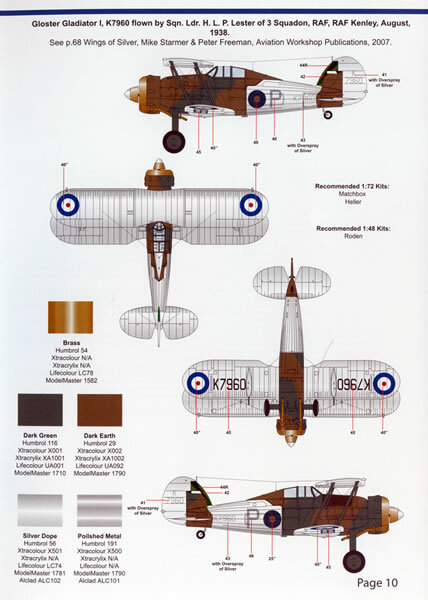 They are very thin and have a minimum of carrier film around each subject which bodes well as they are destined for application over a silver paint finish that is known to easily show up carrier film. The colours are all very vibrant with all of the designs in perfect. 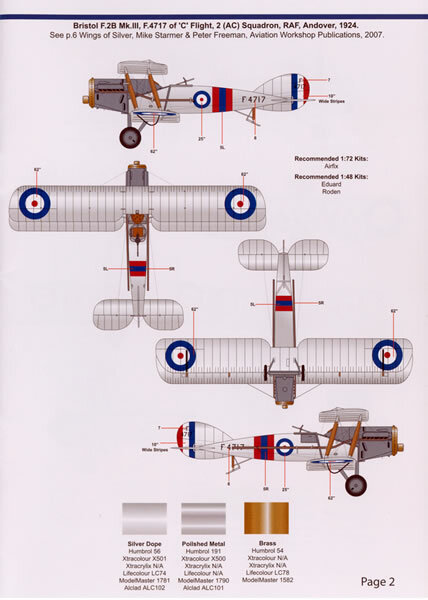 The sheet itself is very large, measuring 8½" wide x 12"high and there is very little space left on it, given this no national insignia are provided and Model Alliance advises that these are available on a separate sheet in there decal range (MAS-489033). The placement guide comes in the form of a ten page booklet (6¾" wide x 8¼" high) that provides a separate page for each option. 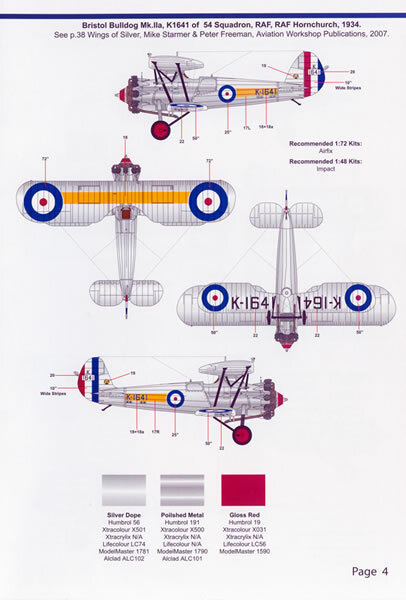 Each page holds four view full colour illustrations of each machine as well as information as to what kits are available of the machine in both 1/72 and 1/48 scales as well as matches of the colours to readily available model paints – Humbrol, Xtracolour, xtracrylic, Lifecolour, Model Master, and Alclad. 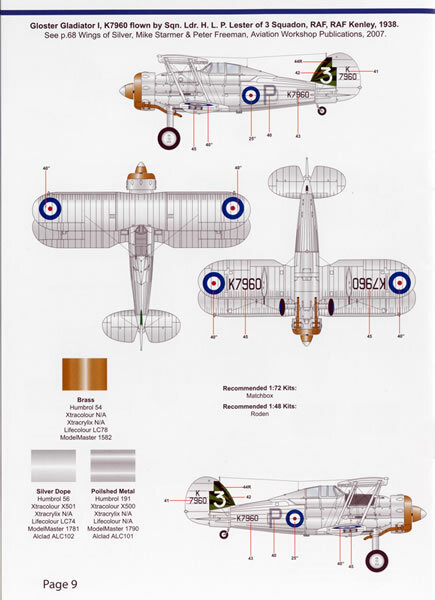 The gremlins have crept into the booklet as pages 5 and 6 are for aircraft that appear on the sister sheet (MA-48 156) and there are no illustrations for Gloster Gauntlet II, K7810 of 213 Squadron or Gloster Gauntlet K5358 of 17 Squadron apart from the two side profiles that appear on the front cover. The decal sheet and the placement guide booklet come packed in a clear plastic zip-loc bag. 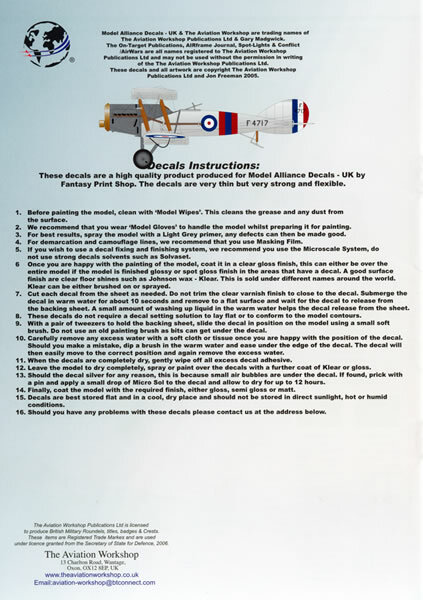 As with its companion sheet, this one too is a great sheet from Model Alliance Decals. 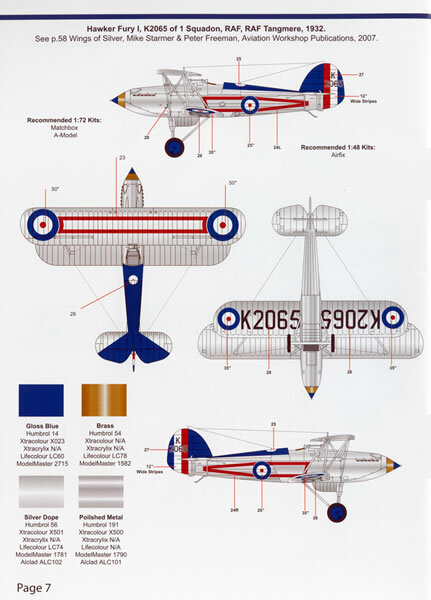 It provides you with beautifully printed decals for a further 10 very colourful pre-war machines of the Royal Air Force. 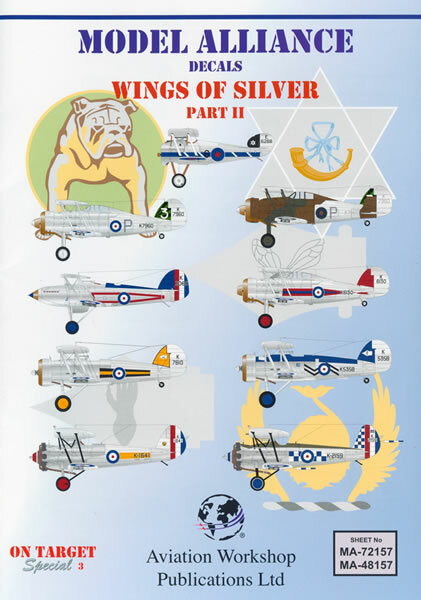 The information for the aircraft on the sheet (as well as 48-156) has been taken from the Aviation Workshop publication “Wings of Silver - RAF Fighters 1919 – 1939” written by Mike Starmer and illustrated by Peter Freeman.